Tic Tac Toe - DIY Game! 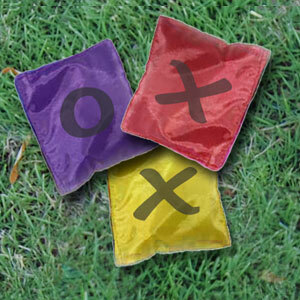 Add "X's" and "O's" to Bean Bags for 2 Players. Add a Few "X's" and "O's" to the Board for 1 Player. To make this game, a woodworking adult will need to measure and form a square frame using the 2 x 4 lumber and securing with nails. Next the volunteer will then cut the plywood to fit the top of the frame and nail into place. 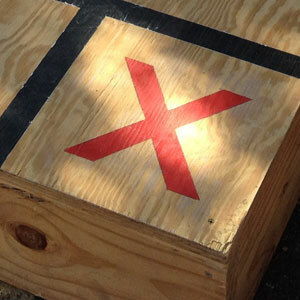 They will then need to decorate the game to look like a Tic Tac Toe board using painters tape, stencils and paint. Finally,they will add several coats of shellac to make the board smooth which helps the beanbags slide on the board and it protects the board for years to come. Before the carnival, divide out the bean bags. Using a permanent marker, mark a large "X" on half the bean bags and a large "O" on the other half -- be sure to mark both sides. Also, you may wish to make the "X" bean bags "cool colors" like blue, green and purple and the "O" beanbags would "warm colors" like red, orange and yellow. Each carnival player is given 3 bean bags in hope of tossing the bean bags and getting 3 in a row. This can be challenging, as the board shown above has a nice smooth surface, and the bean bags tend to slide off the squares for a fun challenge. Each player picks out 6 bean bags to toss. Players take turns trying to toss their bean bags and make a Tic Tac Toe. If a player tosses a bean bag on top of another player's bean bag, the first bean bag counts and the second is removed from the game. 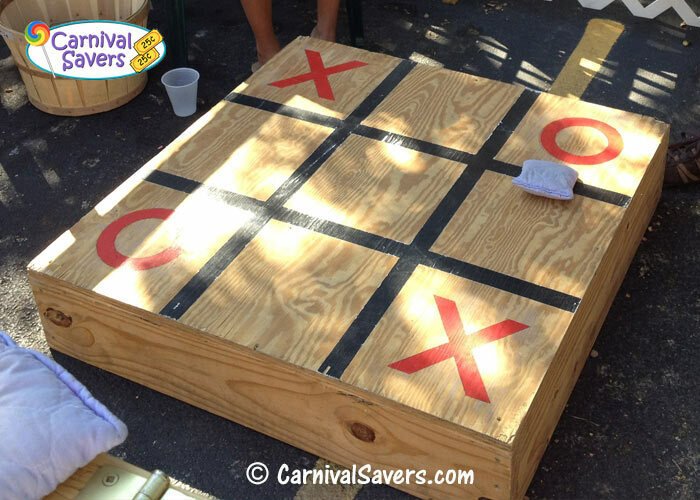 Players play until someone wins at Tic Tac Toe or until they run out of bean bags. 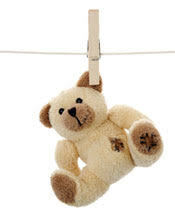 If the game is a tie, both players receive the consolation prize. 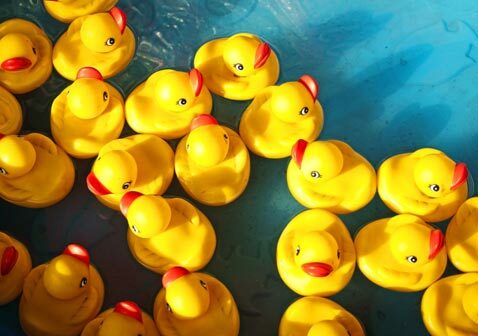 If you are just getting started with your carnival – this is fun game once it is made, can be used for years and years! Note:If you have one player, feel free to fill in one "X" or "O" on the playing board to make this game a little bit more fun for your carnival players! If you have two players, keep your "winners" prizes inexpensive (maybe 25 cents or so if you are charging 50 cents for each player to play) as you will have a winner most times the game is played.The consolation prize can be the typical 10 - 15 cent small toy or piece of candy as usual. SUPPLIES & PRIZES for the TIC TAC TOE CARNIVAL GAME!